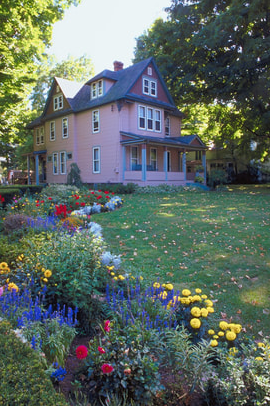 A well-designed, well-maintained landscape adds to the beauty of your home or business. It can also have other benefits like lowering your heating and cooling bills, providing a wind break and attracting beneficial insects. 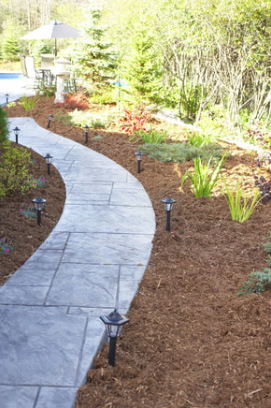 Getting your landscaping in shape is easy when you call us here at New Braunfels Landscaping. We are a full-service landscaping company that brings decades of experience to every project we do. We offer all the services you need to transform your outside space and keep it looking good. Let's look at the services we offer. A great landscape starts with a great design. Whether you have a brand new home that needs a completely new landscape or an existing home that needs a makeover, our design experts can handle the job. We will work with you to create a landscape design that enhances the look of your home while giving you all the functionality you need. 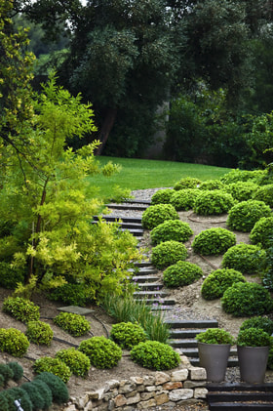 When it's time to transform your landscape, leave it to the professionals to do all the work. We will handle the installation from start to finish. We can remove old elements that are no longer needed, prepare the site, then install all the design elements of your new landscape. With our decades of experience, we know how to install flowers, shrubs, and trees, so they have the best chance of thriving for years to come. An integral part of any landscape is the hardscape elements. These are the retaining walls, sidewalks, paving, planting beds, and other elements that define the space. Some landscapes need minimal hardscape elements while others need more. What all hardscape installations need are experience and expertise. You get that with New Braunfels Landscaping. We will create the patio space you desire, put in a path to take you from front to back, and add fencing to define your property boundaries. A green lawn is a hallmark of a well-maintained landscape. You can get that green lawn in a couple of ways. If you have an empty lot, sodding is the way to go. Rolled out pieces of lawn, tightly fitted together, give the lot an instant lawn. A dedicated team can install a complete lawn in less than a day. Existing lawns need regular maintenance to look as good as possible. That begins with regular mowing throughout the growing season. Routine fertilizing and aeration can bring a tired lawn back to life. Weed control and insect management are integral to transforming an old lawn and making it look young and fresh. We can take over your lawn maintenance and, in short order, make it look brand new. Certain diseases and insects love to infest lawns. They can take even the greenest, healthiest lawns and turn them into brown, patchy and unsightly. Lawn treatments can beat back whatever is turning your green grass brown. It fights off the invader and gives the grass time to recover itself. To keep your landscape looking good, it needs water. Since rain doesn't fall on a set schedule, an irrigation system is your best option to ensure your landscape remains healthy. We have the knowledge and expertise to design an irrigation system that works for your lot and landscaping needs. We install the system from the water outlet to the control panel. We also service and repair existing irrigation systems. Water features bring beauty and gentle sound to any landscape space. The beauty of water features is the many forms they come in. A classic multi-tiered fountain looks good in Victorian gardens while a barrel fountain works well in a rustic, cottage setting. A pond offers a natural setting where fish, insects, and birds can thrive. We can help you find the perfect design for your landscaping and handle the installation for you. We also do maintenance on existing water features. Your landscape should be enjoyable day and night. While the sun provides plenty of light in which to enjoy your home during the day, you need lighting to enjoy it after dark. We can design a complete outdoor lighting plan, so your landscape shines just as bright at night as it does during the day. We can install the lighting. We also handle repairs on existing outdoor lighting systems. Decks and other outdoor spaces extend the living space you and your family can enjoy. Your home needs a deck that enhances the way it looks while working the way you need it to. We can design a deck that does both. Once we find a design that works, we will do the installation from the foundation up. All you need to do is walk out on your new deck and enjoy it. Trees can sustain damage from weather, insects, and diseases. Trees can also grow in directions that you don't want them to. Trimming a tree can remove damaged limbs and limbs which could damage other parts of your property. Well-trimmed trees are healthier than unmanaged ones. They are also less likely to cause damage to roofs and overhangs. Give us a call here at New Braunfels Landscaping for any landscaping needs you might have. We are a fully licensed contractor with the equipment and expertise to take on any project that requires assistance. If you are looking for a contractor near me, contact us.